How I Implemented: I copied 5 sets of problems, each on their own color (to match the 5 colors of eggs). Students were placed into 5 groups and were only able to collect and solve their own colored eggs so everyone had the same problems! Each student was expected to solve on their own paper. 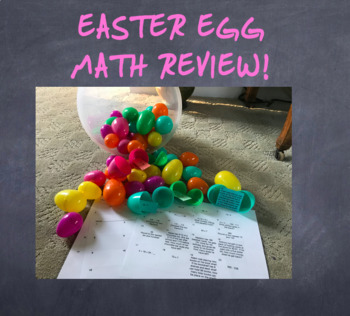 For a completion prize I put homework passes in a large "golden egg". Problems are based on 3rd Grade VA SOLs. Include: multiplication, unknown number, division, money word problem, comparing fractions, subtracting fractions and equivalent sentences.